Visiting the Serengeti seems to be on everyone's travel bucket list (and rightfully so). This most famous of the national parks throughout the continent of Africa boasts over five thousand seven hundred square miles of grassland plains, savanna, kopjes and woodlands. But the main attraction of the Serengeti is, of course, the wildlife. 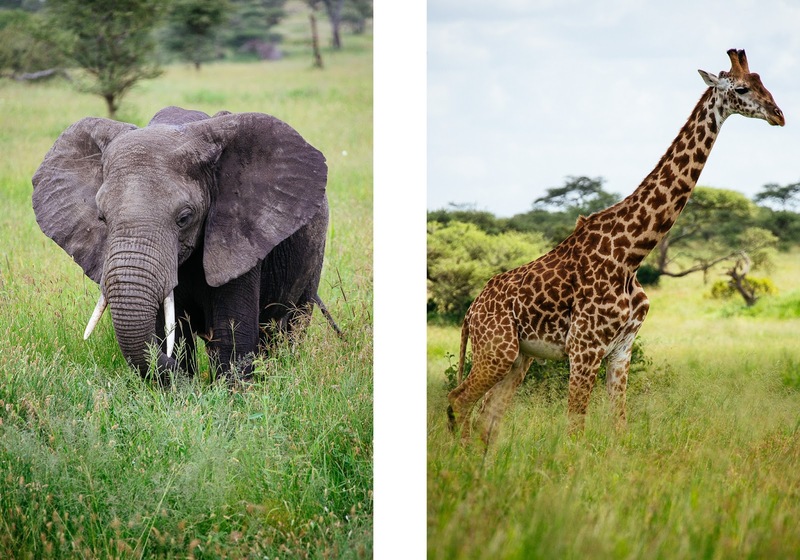 Over three hundred thousand people travel from all over the globe to this northern part of Tanzania in order to get a glimpse (and take about a million photos) of all of the beautiful animals that roam free in this magical place they call home. We were lucky to spend close to three days driving around the park in open top jeeps. Crisscrossing the dusty and bumpy roads, we scanned the vast savannas for any signs of wildlife. Waves of excitement washed over us with every single animal we spotted. In the end, we were quite successful and quite fortunate in our findings, to say the least. Is the Serengeti on your travel bucket list?